Plagued with baby fine, delicate or chemically treated hair? Give it a little extra TLC with this special beauty treatment. 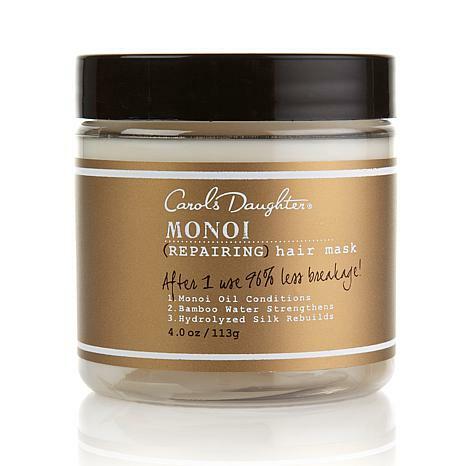 You'll love how the conditioning mask helps strengthen and restore your tresses to a beautiful new look and feel. Ingredients: Water (Aqua), Cetearyl Alcohol, Stearamidopropyl Dimethylamine, Glycerin, Cetyl Esters, Dimethicone, Fragrance (Parfum), Behentrimonium Methosulfate, Cocos Nucifera (Coconut) Oil, Gardenia Tahitensis Flower Extract, Cyclopentasiloxane, Isohexadecane, Butyrospermum Parkii (Shea Butter), Orbignya Oleifera Seed Oil, Moringa Pterygosperma Seed Oil, Phyllostachis Bambusoides Juice, Hydrogenated Coco-Glycerides, Hydrolyzed Silk, Hydrolyzed Hibiscus Esculentus Extract, Cassia Angustifolia Seed Polysaccharide, Helianthus Annuus (Sunflower) Seed Extract, Panthenol (Provitamin B5), Cetrimonium Chloride, Cetrimonium Methosulfate, Cinnamidopropyltrimonium Chloride, Phenyl Trimethicone, Dimethiconol, Octyldodecanol, Ceteareth-20, Quaternium-91, Citric Acid, Sorbic Acid, Tetrasodium EDTA, Chlorphenesin, Phenoxyethanol, Methylisothiazolinone. 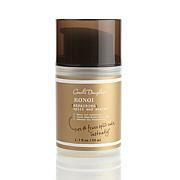 I LIKE THE MONOI MASK 4OZ, BUT I WILL BE ORDER THE OTHER ONE. THANK YOU CD AND HSN. I only used this once but I can say it changed my hair overnight. It's a miracle. My hair is dry&damaged from bleaching. This took it from straw to almost silk in one application. I used it w/t'weaked cleansing conditioner shampoo. The mask rinsed out completely and did not weight my hair down. Thank you Carol's Daughter!